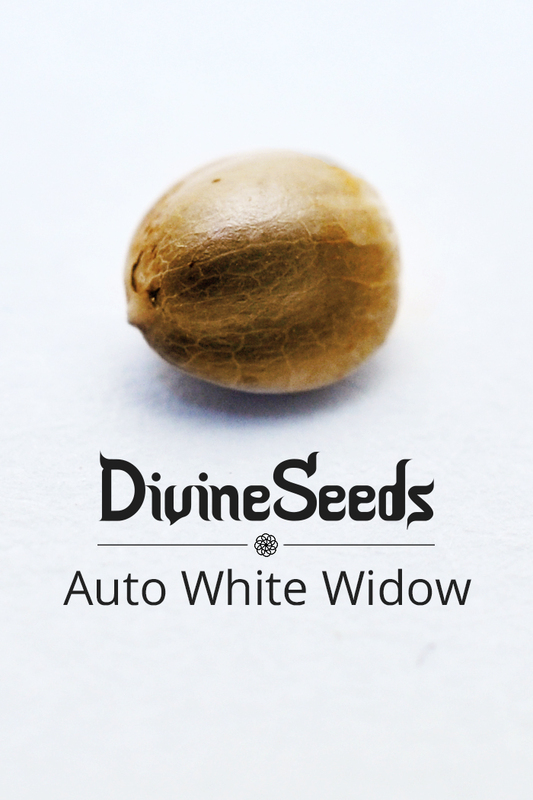 Auto White Widow by Divine Seeds is dominantly Sativa. 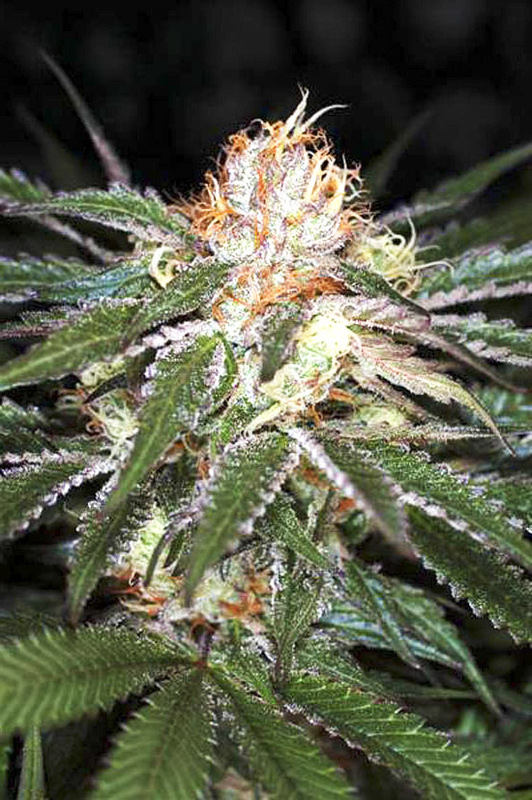 This strain is unusually potent, a result of hard scrupulous co-work with Spanish breeders. Auto White Widow is as deadly as the marijuana it originates from, because it contains 20% THC. In a growbox, plants grow at least 70 cm tall. Out of doors, the height may reach 1.5 m. Harvests averagely 400-600 g/m2. Genetic material that was the base for Auto White Widow came from Kongo, South Africa. 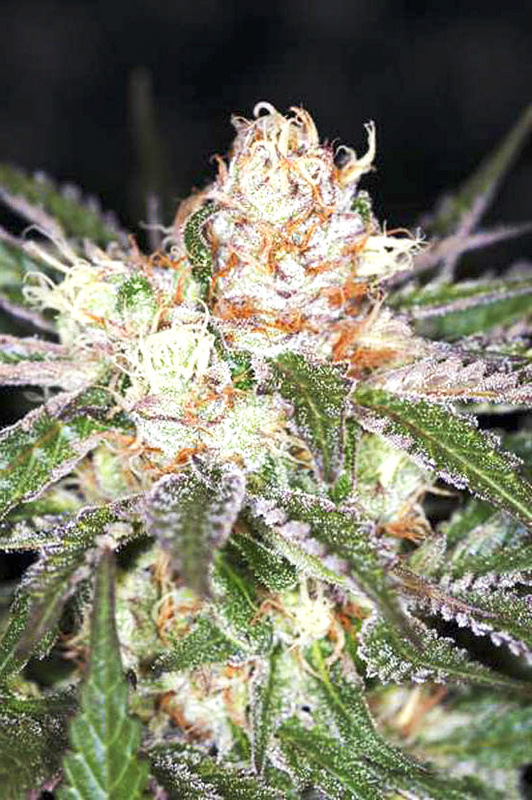 Auto White Widow gives a strong energizing high that tunes your brain for creativity. In medicine, this strain is sometimes prescribed against moving disorders and muscle tension. In high dosage eliminates the cause of glaucoma, cures some of autoimmune diseases. When dry, smells of sandal. Can be grown by any usual method. Takes long to bloom, but ripens truly fast. When blooming, sometimes needs to be tied to some support. 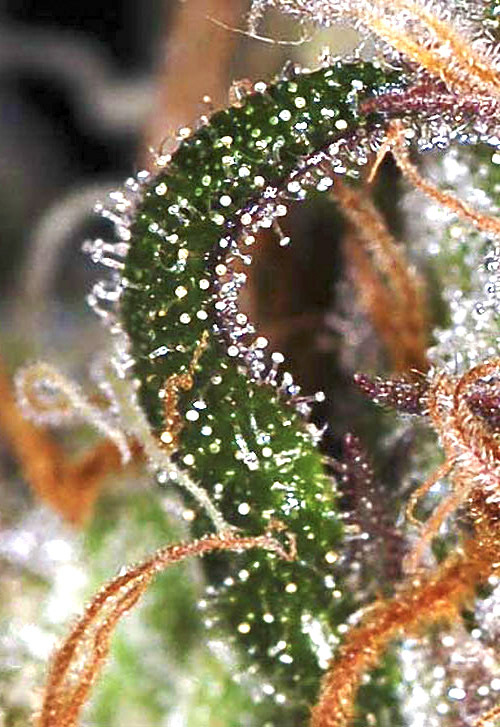 In general, Auto White Widow isn’t demanding and normally has no trouble with mold, fungi or temperature.